So you’ve discovered mortgage note investing and now you want to buy notes online. First off congratulations because note investing is one of the most attractive investments in the market today. Before you start looking for notes to buy online the first thing you need to understand is that when you buy mortgage notes online you are paying retail. If you’re finding notes through a Marketplace, through a hedge fund, or through any other kind of broker or reseller you must understand that you’re paying retail. Now paying retail does have some benefits. You won’t have to spend the time you normally would in finding the notes or prospecting sellers. The drawback of course, is that you’re going to be paying full price. If a note is listed online somewhere for you to buy rest, assured that any of the opportunistic returns have already been squeezed from the asset. Alternatively, if you’re finding your own notes from direct sellers with a tool like BankProspector then you can expect that you’re buying off-market notes at a discount, probably a deep discount. 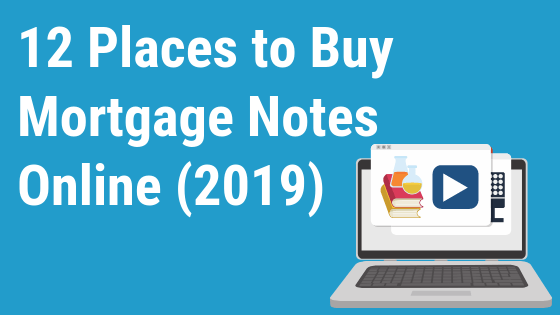 The last 11 places to buy notes online in this list will offer you retail pricing and if you’re just getting started and you don’t have the stomach, the time, or the ability to find your own notes but you do have your own cash than this can be a great place to start. 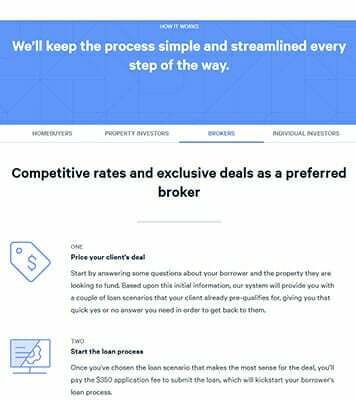 If you’re a bit more industrious and you don’t mind doing the work in order to make more money, then you should investigate bank prospector which is the only service on this list built to help you find the seller direct discounted and distressed off-market notes. While you’re at it you might just want to check out our article on how to buy notes from Banks which can help you get started. All right off to the list! Eliminate the middlemen, “hedge funds” and online joker-brokers. See any bank or credit unions non-performing and performing note portfolio info and “sell” indicators. Get key contacts and decision makers with name, phone and email. Stop chasing desperate “one-off” private sellers with no equity. Paperstac is a new platform that allows you to list and bid on mortgage notes for free. They only charge a 1% service fee when you close a deal. This way, you only pay after you have successful buy a mortgage note. Another thing that is very unique to Paperstac is that they have a dashboard that guides you through the entire process of buying a mortgage note online. So, if it’s your first time buying a note online or if would like to follow a more streamlined process, they provide with access to their proven sales process. They also provide you with a checklist to make sure that you do everything in the correct order and help you remember all the little things that are essential for a successful purchase. Timeline View which consolidates all of your communications in one easy-to-read digest. Electronic Notary that coordinates your electronic signatures and facilitates any online notary services that you might need. Telecom Specialist that creates a new number for each transaction. 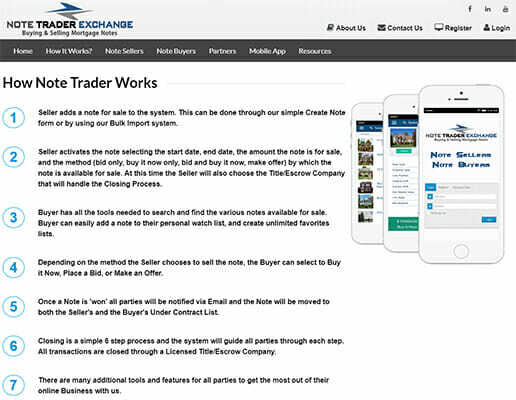 Step-by-step guide through their proven process for buying notes online. FCI Exchange is the largest and most well-known platform for note buyers and sellers. They have a long track record in the industry and provide a lot of information on the various notes before you have to put in a formal offer. This is great for market research and finding out what comparable notes are selling for in your target area. No Membership or registration fees. Lots of information about the notes for sale without having to sign up. They have a note financing facility that partners with note investors to purchase loans. Free mobile app to help you close deals on the go. Automated processing and closing system to streamline every deal. Great partner resources and financing information. 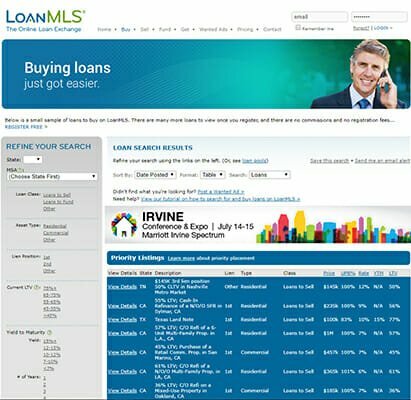 Loan MLS is an online loan exchange, they have over 20,000 qualified mortgage note buyers and sellers using their network to find deals everyday. The have a wanted ads section that allows you to specify the type of notes that you are looking for, so you can be very specific about the deals that you are willing to look over. Fund new loan originators or invest with a note broker. Use the wanted ads to get specific note offers. No fees or commissions to buy a real estate note. 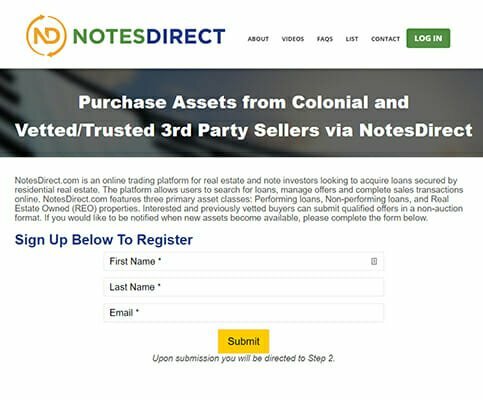 Notes Direct is a great place to buy real estate notes and REO.They have a few very helpful videos on the homepage that will show you how to use the website and search for assets after you have registered to use their marketplace. They have a great selection of non-performing, REO and performing notes. Great how-to videos on the homepage. Free sign up and account registration. $750 flat fee per asset closing. Manage offers and complete sales within your personal dashboard. Watermark Exchange offers a unique trading platform that is focused around geographical areas. 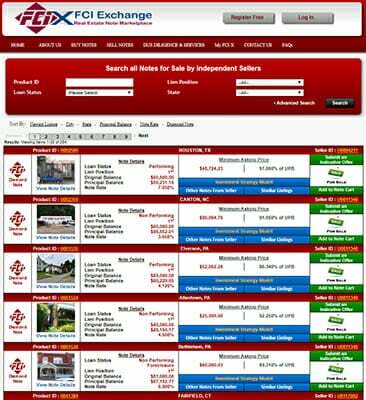 They offer geographically target offers to prospective buyers with a map of all the properties in a given area. The work with large institutional sellers and local banks to provide them with a steady flow of competitively priced real estate notes. Unique map of properties in your target area. 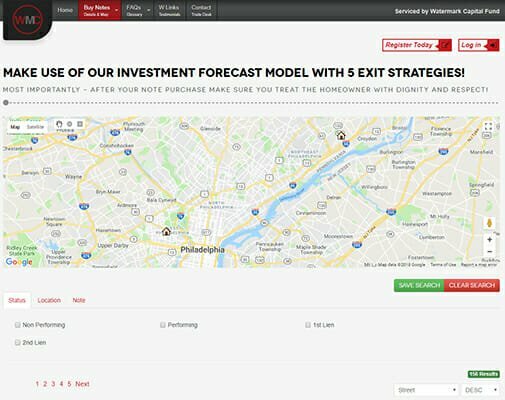 Investment forecast model for every deal. Special access to off-market assets in their buyer’s club. 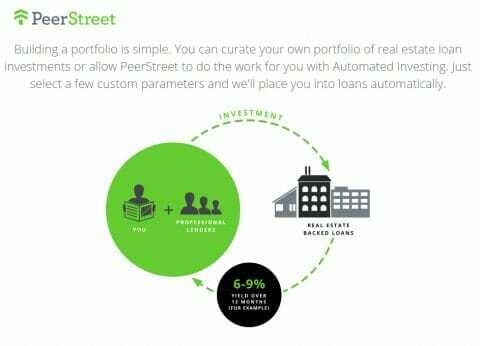 Peer Street helps accredited investors find private real estate backed loans to invest in. Peer Street works with the best originators all over the country to provide you with the best and most diverse set of real estate backed loans. You can create your own portfolio or you could let them do it for you through their Automated Investing. Simple done-for-you way to invest in real estate notes online. Invest as little as $1,00 per loan. Hands off, automated investing option. Lending Home allows investors to buy mortgage notes with Lending Home as the originator. They hand pick mortgage loans for you according to the options that that you have chosen when you sign up. Once they verify your accredited investor status you will get access to your custom offers. Choose your risk profile and diversify your account however you like. Up to date performance dashboard to help you manage your investments. 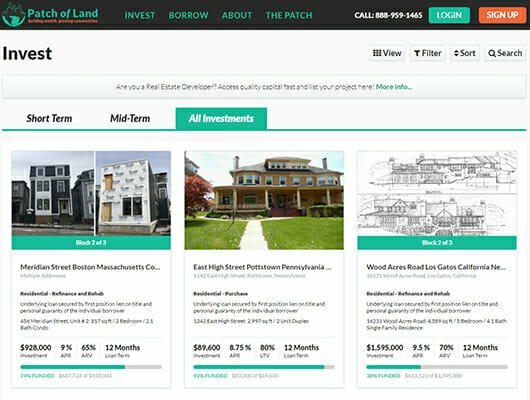 Patch of Land is a crowdfunding website that specialises in raising funding for real estate projects. As an investor you will be able to invest in promising real estate projects along with other experienced investors. Patch of land handles the deal sourcing and all of the due diligence before publishing the projects online. They even put some of their own money into the projects that they promote. Earn up to 12% APR with only a minimum $5000 investment per loan. Short term notes ranging from 30 days to 36 months. Digitally sign and complete on loans through their platform. Regular property updates and project milestones sent directly to your dashboard. 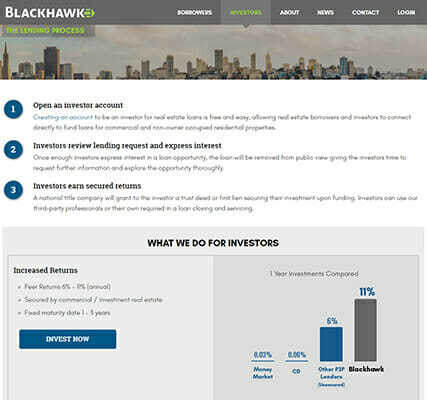 Blackhawk investments is a peer-to-peer lending platform that raises funding for assets-backed real estate loans. As an investor, you will have access to their database of vetted real estate projects and pick the one that matches your investment criteria the best. Once you have picked the notes that you want to buy, you will receive a trust deed or first lien which will be used as security for your investment. Peer Returns 6% – 11% (annual). Fixed maturity date 1 – 3 years. Monthly payments sent directly to your account. More secure than normal peer to peer loans. Fundrise gives you the opportunity to invest alongside a team of very well experienced real estate investors on the projects that they have personally researched and vetted. Simply choose the real estate portfolio that you are interested in and they will acquire and manage the properties for you. You don’t have to worry about all the hassle of closing the sale or dealing with tenants. Best of all, you investment is backed by real assets. Fundrise is a very easy way to invest in real estate notes. $500 starter account with a 90 day satisfaction period. 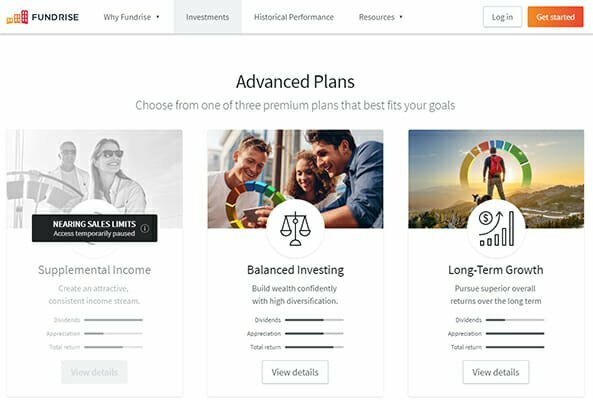 Choose the perfect investment plan to suit your lifestyle. Easily diversify your portfolio without the hassle of active management. All of their offerings are regulated by the Securities and Exchange Commission (SEC). I like this article very much. Can you compile a list of top paying note buyers as well? I’m not sure how we’d get “top paying” but we do have a database of note buyers which we call the Verified Investor’s Database. Verifiable investors can sign up here to be listed.